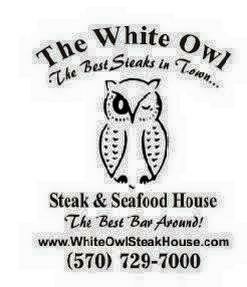 The White Owl Steakhouse is a great place for steaks, seafood or just to sit and to have some drinks with friends in Beach Lake, PA.
Large circular bar with 6 large screen tv’s to watch. The White Owl Steakhouse is one of the top ten places for steaks in PA.
“The best steaks in town” and “The best bar around“. It doesn’t matter how you get here, just drop in to say hi and have a drink! Visit The White Owl Restaurant at 318 Welcome Lake Road, Below you can read more info about the place.